Now you can route your computer monitor via your SDI router! DVI Extender lets you extend the DVI-D connection to your computer monitor via simple SDI cables! Now it's much easier to connect your computer displays anywhere in your facility, or even to more than one monitor when using any 3 Gb/s SDI router. DVI Extender also works as a regular DVI to SD/HD-SDI video converter, that's perfect for broadcast graphics! HDLink Pro with DVI-D is the most advanced monitoring solution for DVI and HDMI displays. With dual link 3Gb/s SDI for 2K, HD and SD compatibility, built in 3D lookup table color management, hardware upscaling and 6 channel analog audio outputs, HDLink Pro gives you incredible pixel for pixel perfect monitoring! The world’s first SDI monitoring solution for deep bit depth DisplayPort monitors now supports full 3D stereoscopic and HDMI 3D frame packing! Get the highest quality in both 4:2:2 and 4:4:4.Perfect for SD, HD and feature film 2K monitoring, HDLink Pro supports 1.62 and 2.7 Gb/s DisplayPort monitors with 1, 2 and 4 lanes as well as DVI and HDMI monitors with an adapter. 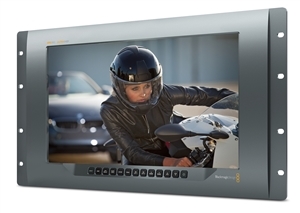 Featuring two large independent eight inch LCD screens in a compact rack mount design, SmartView Duo handles SD, HD and 3Gb/s SDI video standards. 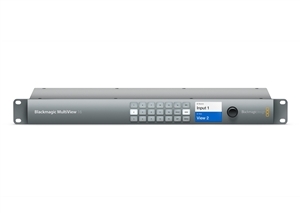 SmartView Duo is perfect for post production, broadcast and live event monitoring. For easy setup, all screens can be remotely adjusted via ethernet connection. 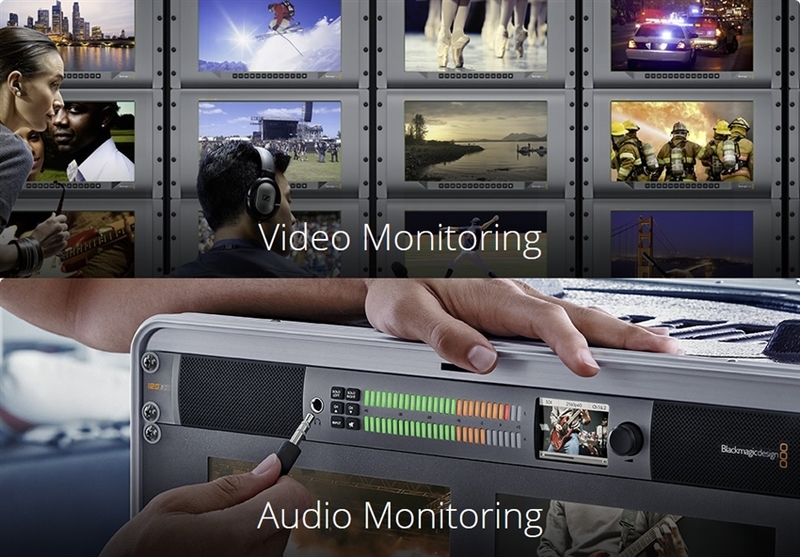 With SmartView Duo you can install SDI monitoring everywhere you need! Dual 8" 3 RU SDI/HD-SDI/3G SDI monitoring with built in scopes for technical waveform monitoring. SmartScope Duo 4K looks like a SmartView Duo but adds independent waveform monitoring so you can select between waveform, vectorscope, RGB parade, YUV parade, histogram and audio phase level displays. Each monitor is independent so can display any combination of scope or picture view! Dolby sound is common in broadcast, film, web streaming and other productions, and the Blackmagic Audio Monitor features a Dolby slot so you can add a Dolby decoder module whenever you need. The Dolby decoder supports Dolby Digital and AC-3 decoding for 5.1 surround sound monitoring from either the 6G-SDI video input or the AES/EBU audio input. To monitor different channels in the decoded 5.1 surround sound source, you can select these easily using the push button controls on the front panel!